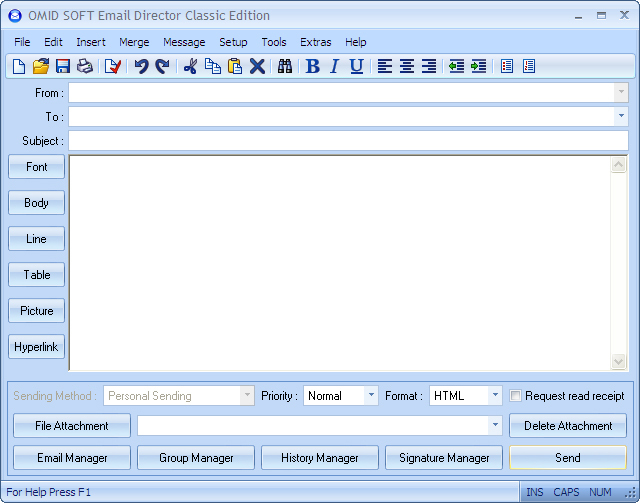 Send personalized bulk emails from any database (via OLE DB/ODBC) or use the internal database to organize the addresses. 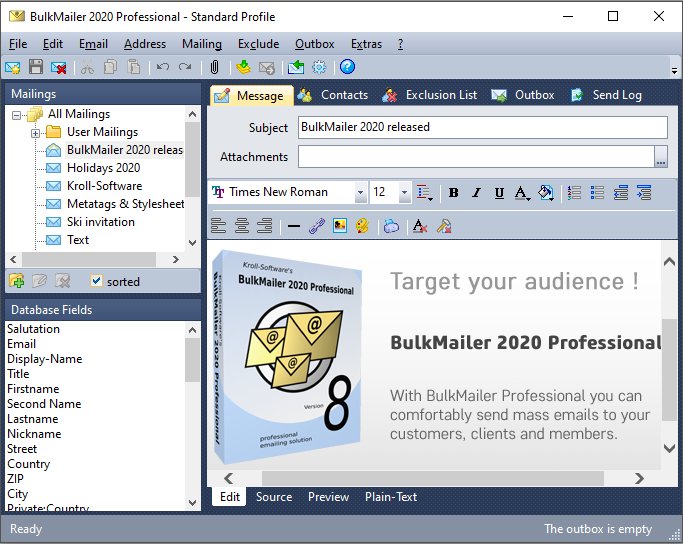 A full featured HTML editor for HTML mails, full mime support, bounce management, file attachments, and many other features make this software a perfect marketing tool. 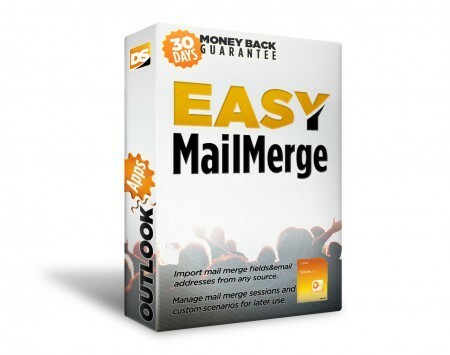 Easy Mail Merge... Outlook add-in... fully personalize email messages and quickly deliver individual emails to your contacts list... the perfect solution for your mail merge needs... send personalized email newsletters, business announcements, marketing emails or any other group or mass emails that need to be customized and individually sent to a large number of people. 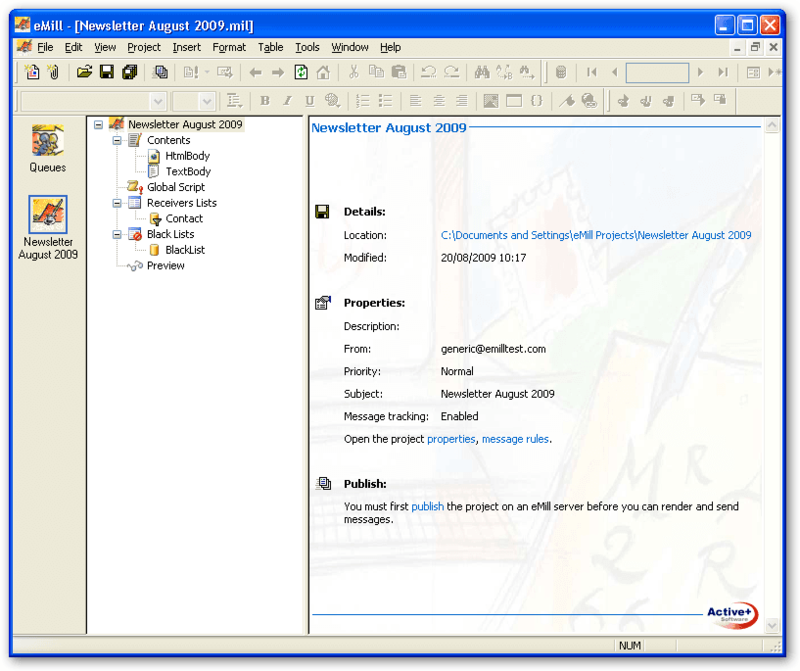 Email Director is an email application to help you stay in touch with your target audience. Email Director allows you to communicate with your clients and customers in a more convenient way and send personalized messages to your customers, subscribers and friends. Email Director will save hours of your valuable time, which can then be used for everything you need to do in your online marketing business. 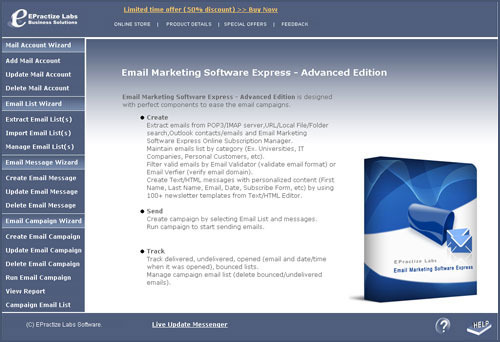 Software to build email list by extracting from your POP3/IMAP accounts, Outlook, HTML URL/File and Local folders, send an email newsletter, a high-impact email promotion with complete tracking. 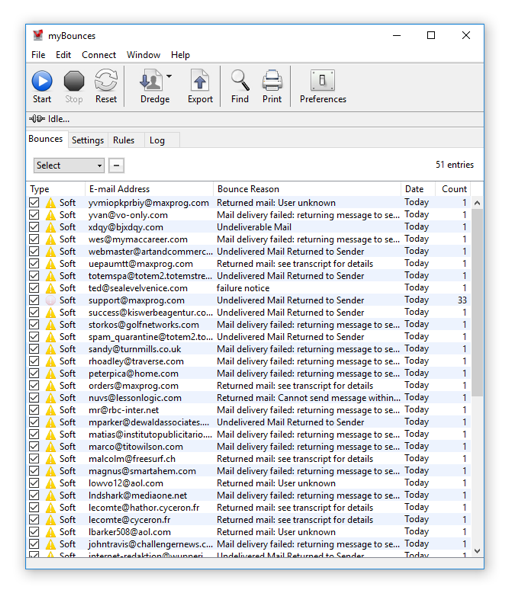 From a PC or any web browser, eMill is a flexible software that helps users intuitively and effectively handle simple to very complex emailing projects. It handles the entire email marketing chain from the creation of lists and messages to the sending and tracking of messages. With eMill, you maximize the ROI of your communication campaigns by targeting and controlling deliveries, analysing tracking results and managing incoming messages.